*Now it must be remembered that Hesperis are biennial and as such will flower in the second year of growing….they will usually happily self seed…so you will have flowers every year in a naturalised bed from the second year of sowing them. 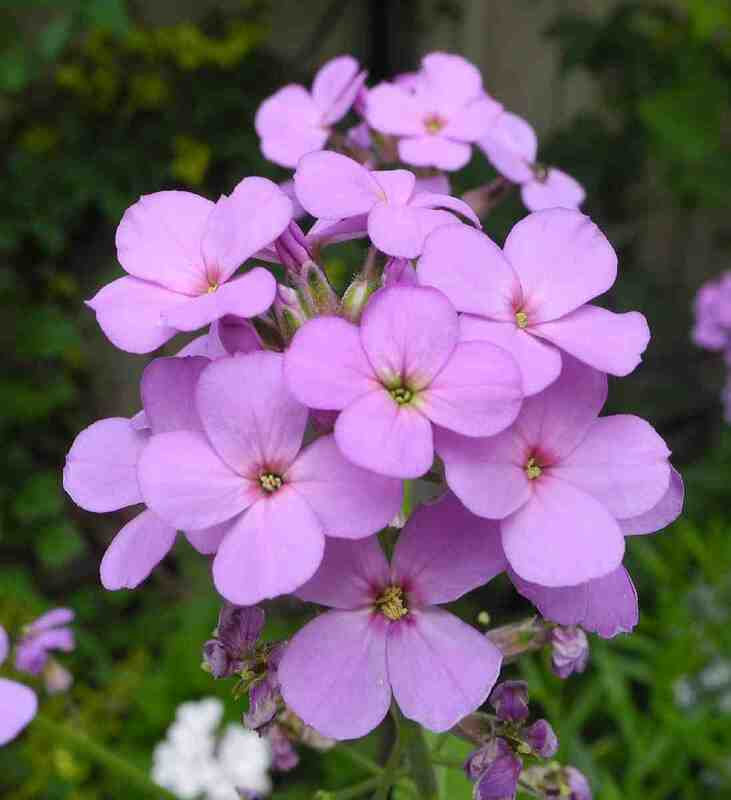 *Wilfred sowed his Hesperis matronalis seed on the summer solstice. (usually 21st June) However some growers sow from late May and as late as August. *Sow folk like to sow in a seed bed…then transplant the plants in the Autumn. Wilfred sowed into 3 inch square pots and then planted them out in early September. *Wilf planted out to a hand-span apart….I don’t know if he had big hands though….ten inches to a foot apart is about right. *Plants are happy in shade or full sun. Don’t be put off by the fact that biennials don’t flower until the second year…they flower VERY early…from early May and they are big and floriferous plants that will give you heaps of flowers before even your Autumn sown annuals are starting to pull their weight. It’s also worth leaving some plants in over winter as they are actually short lived perennials and will make it through most winters. 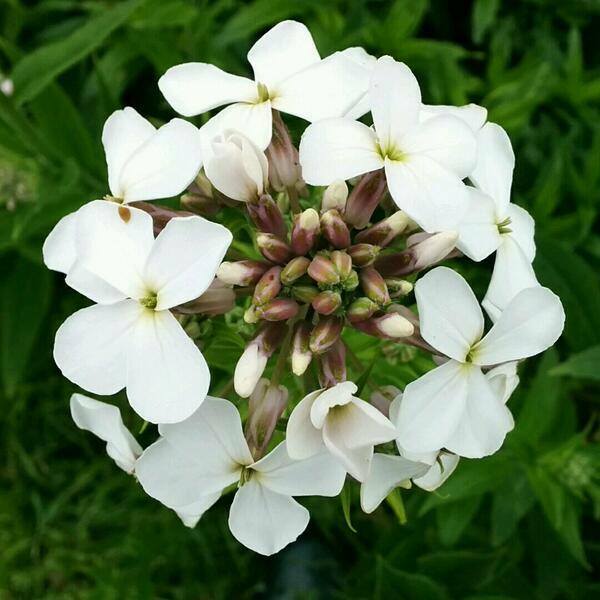 We grow both white and purple Hesperis. These and other wondrous seeds can be found in The Higgledy Garden Shop. How to grow Sweet Williams. Please Bear With Me! 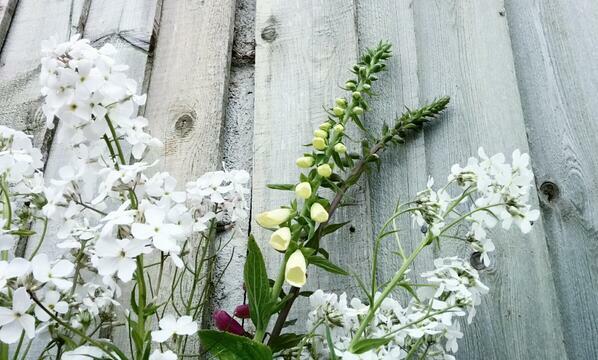 Harvesting Foxgloves For The Vase.